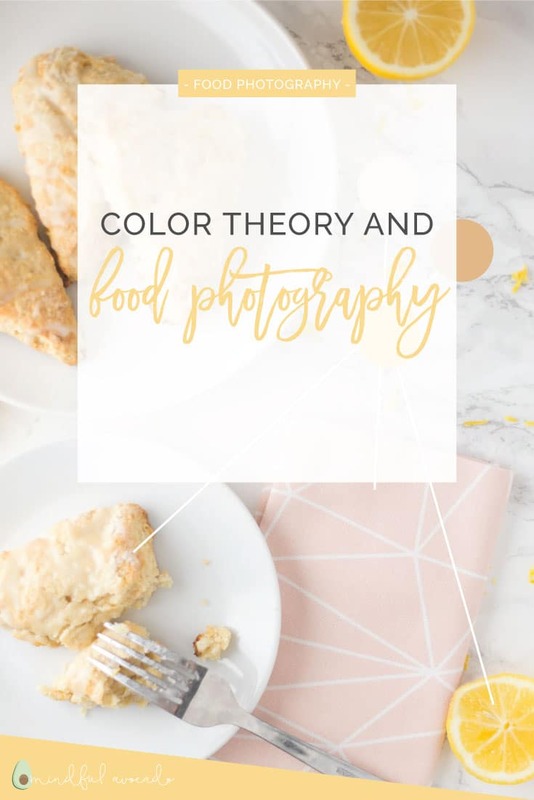 It can be overwhelming thinking about styling and composition when it comes to food photography, but with a little bit of color theory, we can simplify the process. 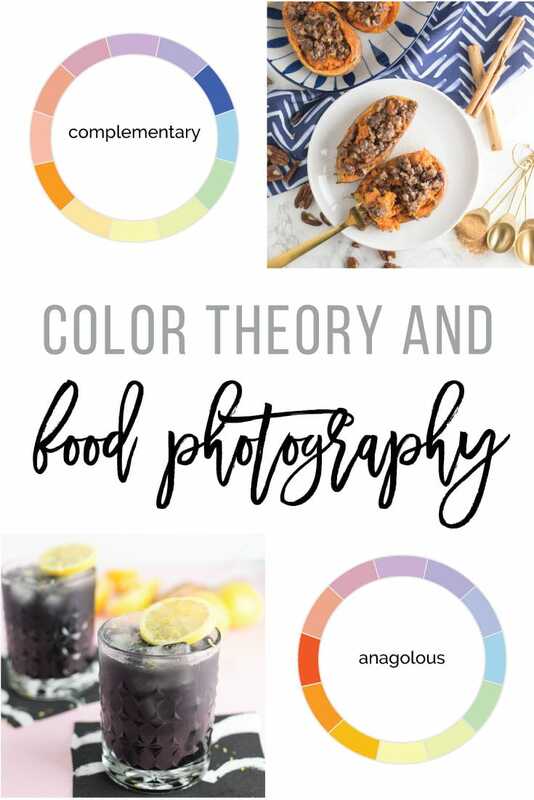 Color theory is the guideline or design principles of color mixing. There are the primary color wheel, secondary color wheel, and tertiary color wheel. and within these color wheels we can make educated guesses on what colors will look good together. 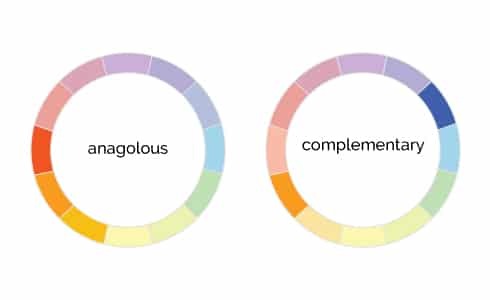 There are complementary colors and analogous colors. 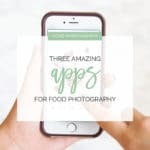 How does this relate to food photography? When I am shooting a food, I first think of the primary color of the food I’m shooting. For example, a sweet potato would be orange. From there, I think of prop colors (i.e napkins and backgrounds) that go with the primary food color. 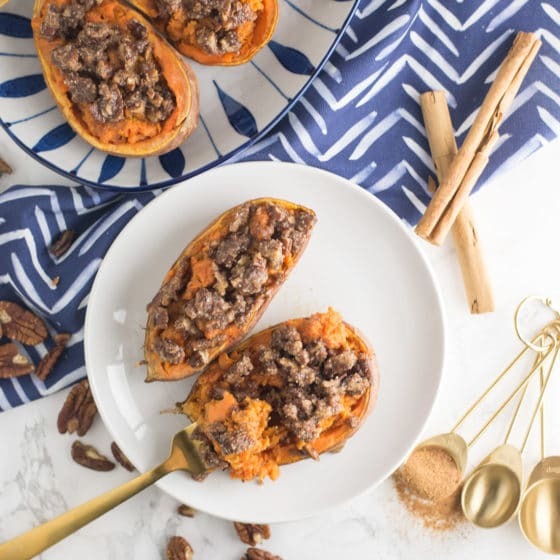 These twice baked sweet potatoes are an example of a complementary color scheme because orange and blue are opposite of each other on the color wheel. notice the fork and measuring spoons are gold which is monochromatic (similar color) to the potatoes. 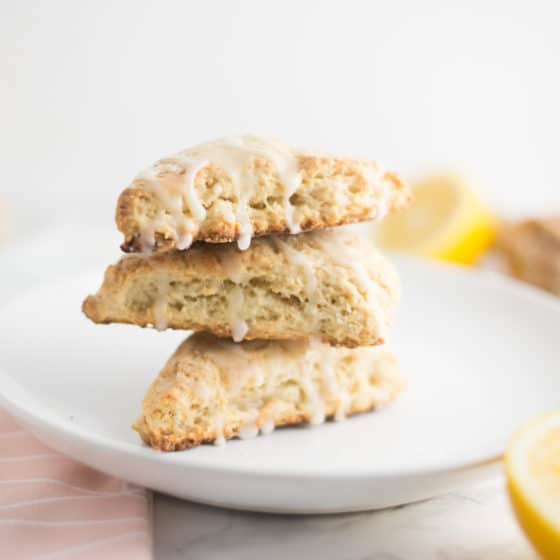 These vegan lemon scones are an example of an analogous color scheme because yellow and pink are next to each other on the color wheel. What if a food is brown or neutral? Sometimes foods can be brown, tan, or neutral in color. In this case, I like to use some color to make the food “pop” a bit. 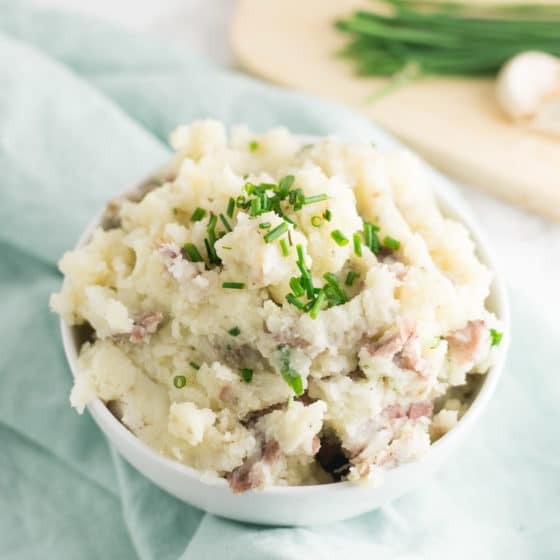 For these vegan mashed potatoes, I garnished the bowl with chives and then used a light blue napkin for an analogous color scheme. Even though the food is white, the napkin and garnish brings the composition together. 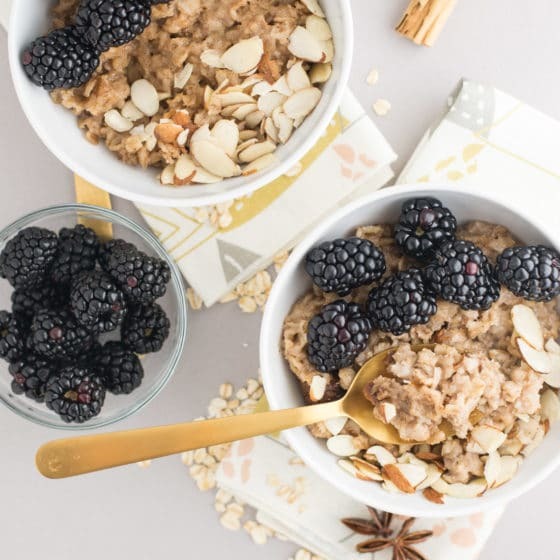 In this photo of slow cooker oatmeal, the oats are brown but I added blackberries to add a bit of color. From there, I used a light purple background and napkins with hints of pints and greens to create this analogous composition. 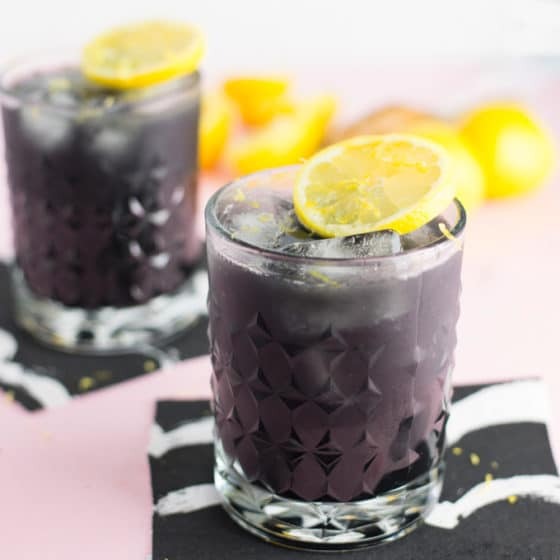 This charcoal lemonade is black but the flavors of lemonade are yellow. So I decided to use a pink background and garnish with lemons, again, to create an analogous compostion. What if the food is colorful? 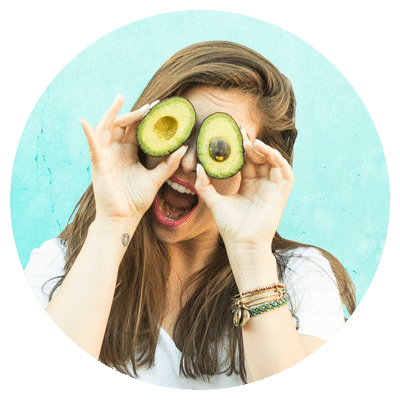 Being a plant-based food blogger, alot of my recipes are colorful! So what if I have a super colorful salad where there is not one single color of focus? It’s important to not take away from the subject. 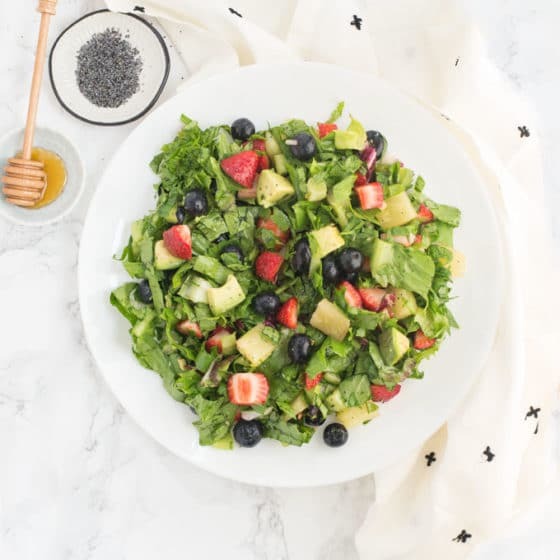 For this berry salad, the subject is so vibrant and colorful, that I balanced it with a white background and white napkin. This allows the salad to really stand out. Alternatively, I would use a soft yellow, pink, or even blue to complement the fruit in the salad. Anything too bright would take away from the salad though. 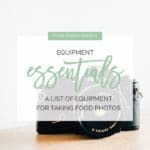 I hope you found these food photography tips useful! 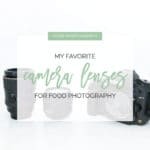 What’s your favorite process when choosing color schemes for food photography? Great to hear Megan! 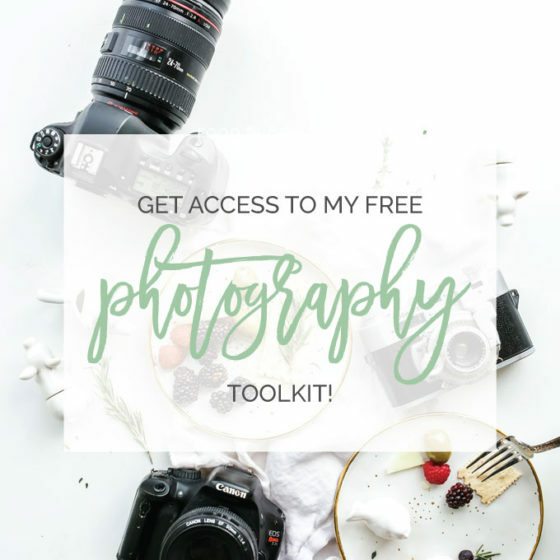 Glad this helped you!